Those looking for a place to berth their yacht or begin their Monaco yacht charter have an exciting new option this summer, with a new superyacht marina, Cala del Forte, opening just over the French/Italian border at Ventimiglia. 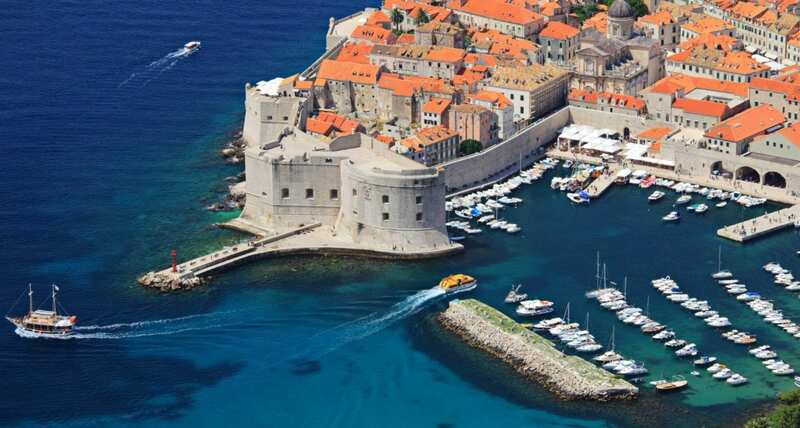 Monaco Ports is developing Port Cala del Forte as a state of the art sister marina to their two existing marinas, the exclusive Port Hercules and Port of Fontvieille. Located less than 20 minutes from Monaco and with regular maritime transfers from the Principality, Port Cala del Forte is an ideal marina for owners to base their yachts and for charterers to begin their Monaco yacht charters. Perfectly positioned on the Italian side of the border with France at Ventimiglia, marina Cala del Forte fulfils the growing demand for superyacht berths close to Monaco and the French and Italian Riviera. 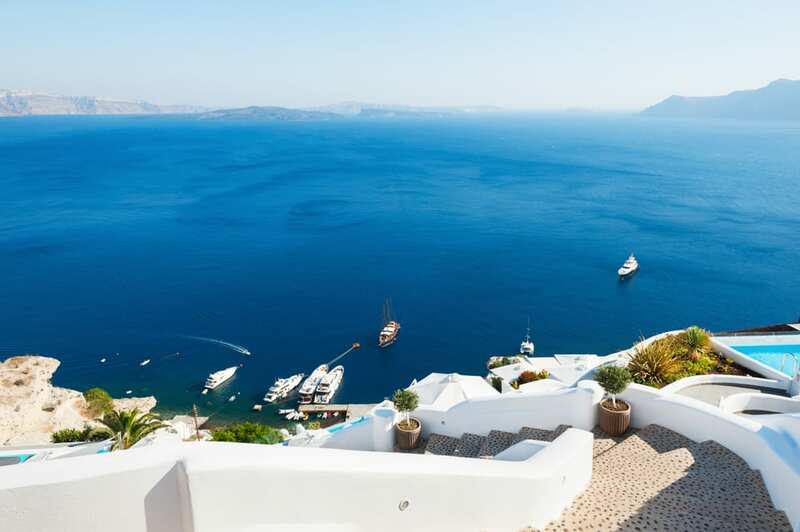 The 171-berth port is naturally protected from weather and offers a high-security marina precinct with an exceptional focus on service to their elite clientele. Cala del Forte will offer 3,800m2 of luxury shops, cafes, restaurants and offices, as well as an underground carpark and yachting infrastructure including a 2,700m2 shipyard. As a new development with an exceptionally long lease in place until 2094, Monaco Ports are pouring all their years of yachting expertise into the port, resulting in one of the most advanced, well-equipped, and secure superyacht marinas in Europe. In matters of security, Cala del Forte will be hard to beat, as the marina is accessed by road via a tunnel. 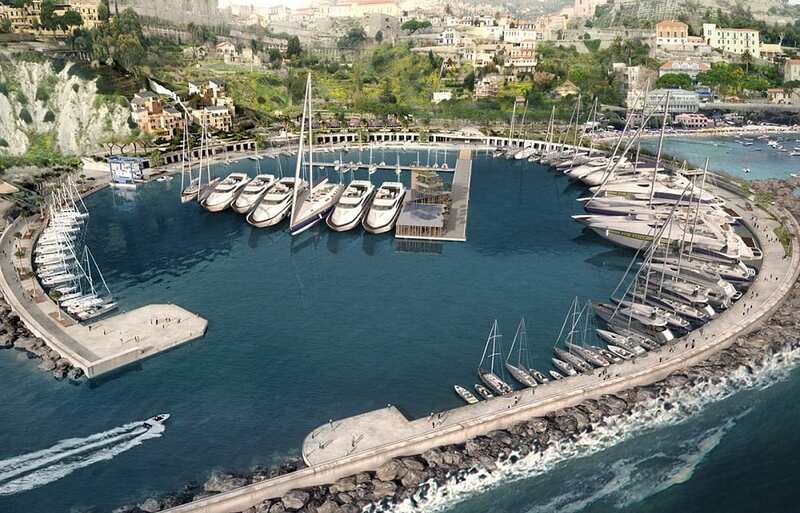 The new port on the Italian Riviera will also have a dedicated focus to sustainability and environmental protections, as befits the superyacht industry of the modern age. The expansion by Monaco Ports into Italy is designed to foster cross-border collaboration between the superyacht industries in Monaco and Italy, as well as create jobs. For those on a Monaco yacht charter, the options are endless from your berth in Ventimiglia. 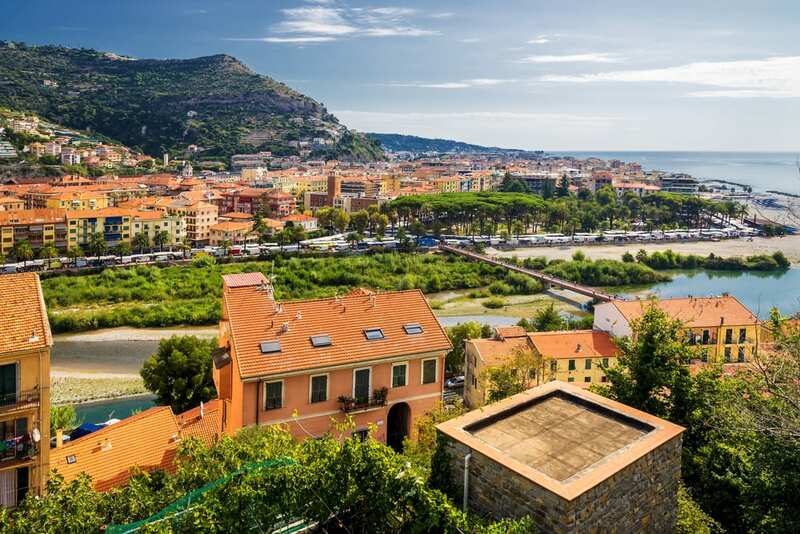 The luxury boutiques, Michelin-star dining and spas of Monaco are within a 20minute cruise, Menton’s exotic gardens and lemon terraces are just a stone’s throw from Ventimiglia, and the glamour and buzz of Cannes, Antibes and St Tropez are all within easy reach. In the other direction, the desperately pretty Cinque Terre and Portofino beckon on the Italian Riviera, while Ventimiglia and into the hinterland is also a superyacht destination in its own right, with Italian boutiques, farmer’s markets, and fine home-style restaurants serving up the famously good Italian cuisine of Liguria. The opulent palazzi of Genoa just along the coast are a highlight for lovers of art, architecture and history, while the seaside town of San Remo delights with its flower gardens and grand art deco villas. Up in the hills, rustic agroturismos have their restaurant terraces by rushing mountain streams, while slipping easily back over the border into France, the medieval clifftop village of Eze sits like an eyrie far above the coast. Cala del Forte marina is superbly located between all these wonderful destinations. Given its exceptional location, the new Cala del Forte marina by Monaco Ports is an extremely welcome new development for launching Monaco yacht charters, as well as providing a fantastic location for berthing yachts year-round. Berth sales will begin on April 14th, 2018, and the port development will be fully complete in 2019. Contact us at Silver Star Yachting to learn more about one of 2018’s most important openings.